The deadline for the draw of Aramar is over. 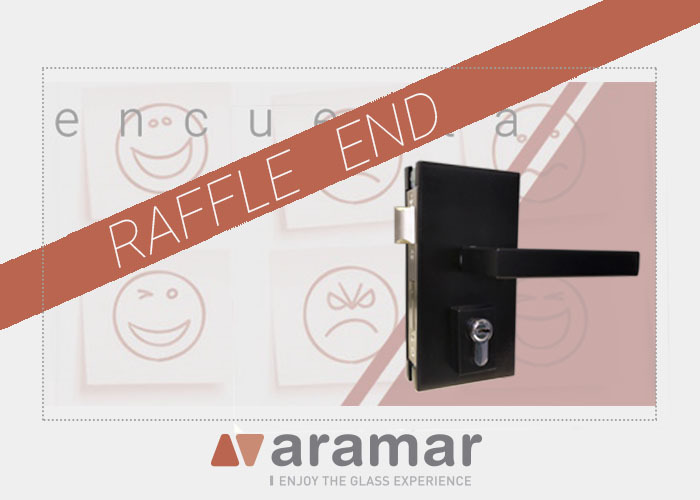 We started the year by raffling around a raffle for a lock in black finish for glass, in which you could participate by completing the survey of Aramar Suministros para el vidrio. After a month with the active raffle, today ends the registration period and therefore the end of our survey. From the organization we want to thank all those who have participated and completed the survey of Aramar, because for us it is very important to know the opinion of our customers and know their concerns and needs. It can be said that the raffle has been a great success, reaching spectacular figures in participation in the surveys. However, only one of the participants can be lucky enough to receive the Aramar glass lock with black finish, which we will contact in the coming days. Congratulations! The goal of the Aramar raffle is mainly to know the opinion of our customers, which helps us to create new business strategies in order to improve our daily work to provide a better service.